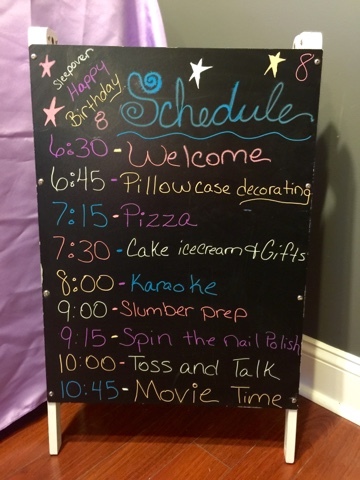 At what age did your daughter want to have a Sleep Over Birthday Party? 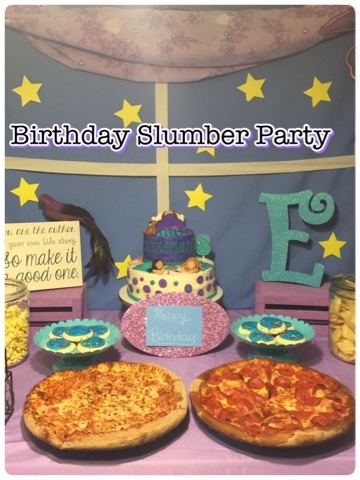 My daughter wanted to have her first sleepover party for her 8th birthday. Being the Mom I am, I said yes. I don't know what I was thinking, when I said yes. I agreed to inviting 15 girls thinking only half will show and that will make for a wonderful party. First mistake I made was thinking half will only show. 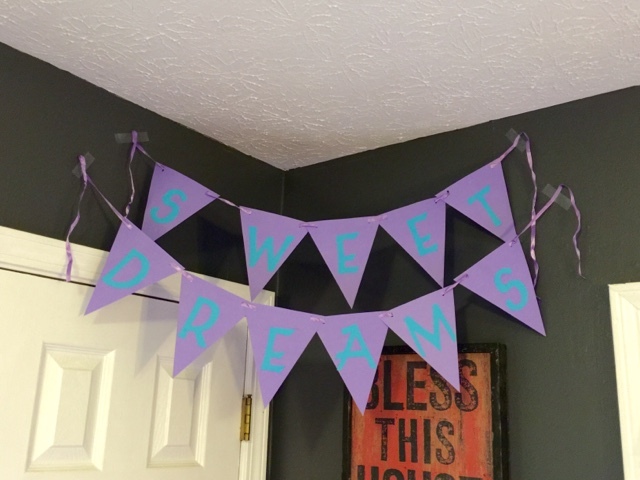 When planning a slumber party never think that. Parents are like "YES DATE NIGHT FOR US". I had 9 girls show up for a wonderful fantastic sleepover. It was a good number. 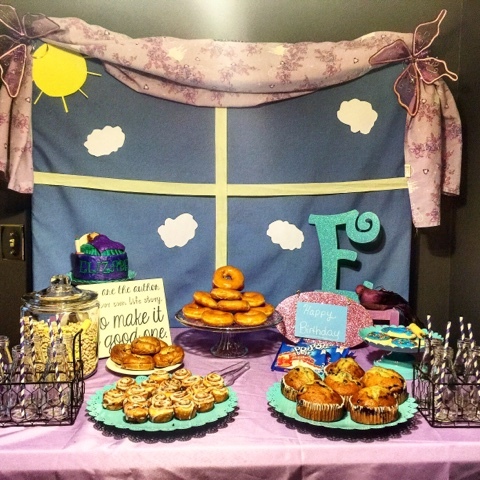 My daughter was blessed to have wonderful friends, and for most of the girls it was their first slumber party at a friends house. I was proud everything went so smooth. To keep things going smoothly I created a schedule. The girls really liked this, and they made sure we stayed to the schedule. The time kinda got off but the order of events stayed the same. This really kept the girls moving and active. After the event, I had parents telling me how their child came home talking about how they liked the schedule. 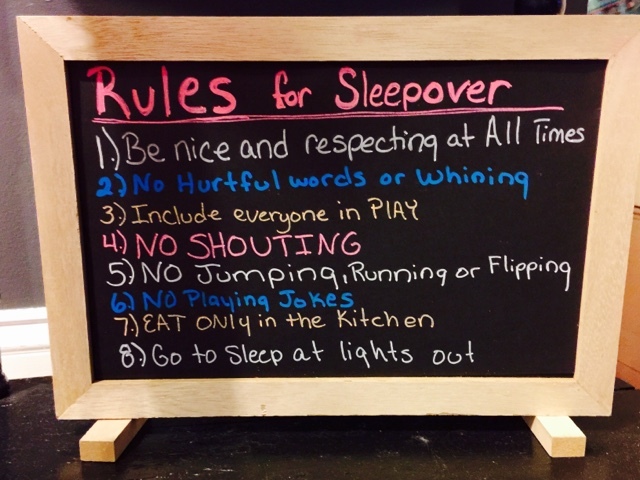 It is a must for any sleepover. You can not host a slumber party without placing some rules in place first. I made sure I read off the rules when everyone got there. They all respected the rules. If you have older girls you might want to place a rule, No Cell Phones. The girls I had over were under 10 years of age, and some did bring devices that required internet access. I made sure I told the parents and kids that my internet password was not being gave out, all cell phones and iPads will not be in use. I told each and everyone that if they needed to place a call they were more than welcome to use my cellphone. All the children was fine with this. 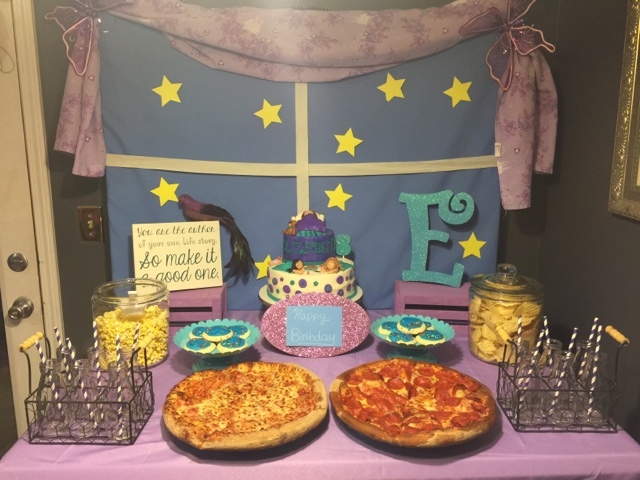 I just love the birthday table I set up for my daughter. Since it was a sleepover I made the background to look like we were looking out a window at the stars. I served the perfect meal, pizza and breadsticks. The girls loved it. We also had chips, cake, cookies, and popcorn for later that night. When I saw this sign I just had to buy it. 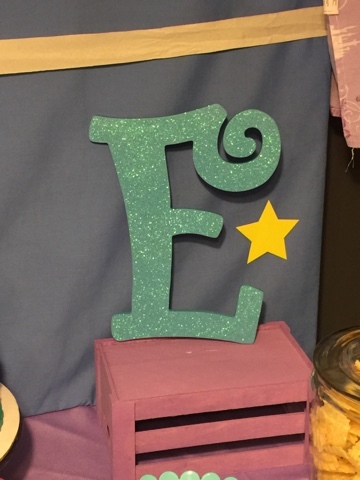 I thought it was fitting for a birthday party. 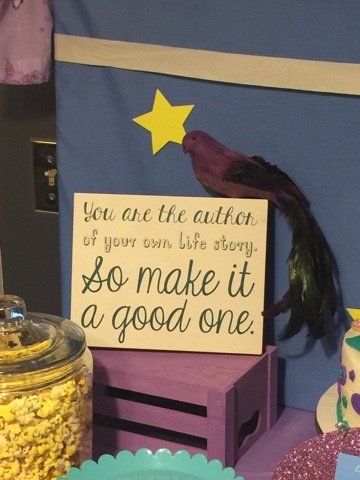 My daughter loves birds so I surprised her with a bird. I have to give thanks to one of my good friends. Check out her Facebook page. Getting into the Cake Business. 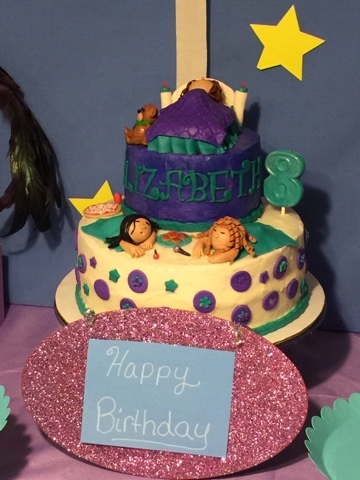 If you are in the Louisville area, she does great cakes. 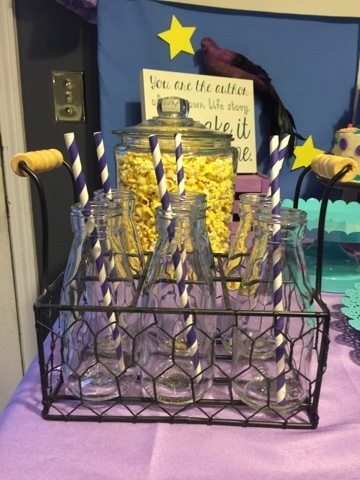 These jar glasses were a big hit with the girls. Then in the corner of my kitchen I had a banner that said Sweet Dreams. When you have a slumber party you have to serve breakfast in the morning. I serverd muffins, cinnamon rolls, Lucky Charm cereal, bagels, Krispy Cream Donuts, Pop Tarts, and I just placed out the left over sugar cookies. When my daughter blew out the candles on her cake, I only cut the bottom portion of the cake. If you remember from previous pictures, it was a 2 tier cake. The bottom portion fed the girls and we had left overs. I saved the top part for her actual birthday which was the morning everyone woke up. However I saved that top part of the cake for just family, for our birthday celebration that night. We did have my daughter blow a candle out, that was placed on a donut. While the girls sang yet again the Happy Birthday Song. The girls loved it. 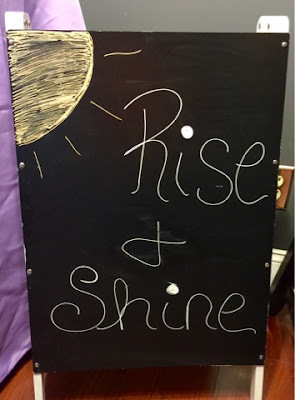 Out with the schedule and in with the Rise and Shine sign. 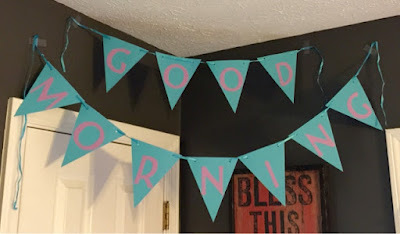 I also changed out the Sweet Dreams sign to a Good Morning sign. I loved hosting the slumber party for my precious little angel. But when the last child left and I had this secret feeling of, YES I survived and thank goodness everyone was gone. The slumber party not only wore me out for the rest of the weekend, my daughter was feeling the effects also. Have you been brave enough to host a big slumber party? If so I would love to hear anout it. If you would like for your party to be featured just send me a message and we can discuss it. 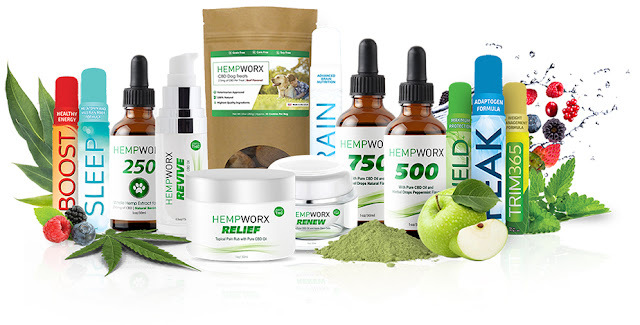 Have you ever heard of CBD Oil? If you want to know more click here.